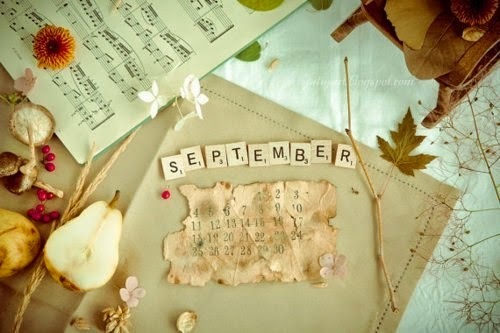 I can not believe where this year has gone, We have had a wonderful summer and now we are moving into autumn. It will not be long now before I am heading off to wonderful New England in the fall. We will be visiting New Hampshire as well as New York and Boston....... I will be picking up my wonderful hand dyed threads and also a wonderful prize for Octobers give away at the Shaker village in Canterbury.... So if you are reading this and have not become a member, then now is the time!! This week I will be giving some more hand dying a go, this time with beetroot. I would like to dye some vintage French linen a sort of a raspberry colour and I want it to be natural not from a packet. I have bought myself some thick rubber gloves for this operation, as I do not want to go round with red hands for weeks!! I thought I would give a few colours ago, slightly darker and lighter so I will load up pictures of my efforts later in the week. I am also working on some embroidery with flowers using lots of different stitches to see if it looks like a wild garden..... again when it is complete I will show you. I have opened my order book for next year for samplers for Weddings and Nursery pictures but would be happy to talk about other commissions for samplers that may be required, just message me. This time of year is a favourite of mine, although it is sad to see summer disappearing, sitting inside stitching in a cosy chair is always welcome. So I am away now to organise my week and get on with some sewing. I look forward to seeing your beetroot dyeing! Later this week beetroot dying and Holiday not until October but its not long now, counting the weeks! I hope you are feeling better and on the mend.